When All Else Fails…The Blueberry Prevails! culture more than any other fruit and they’re one of the few commonly cultivated fruits which hails from this continent. They’re not only indigenous to North America but also heavily populated in the state of Michigan. 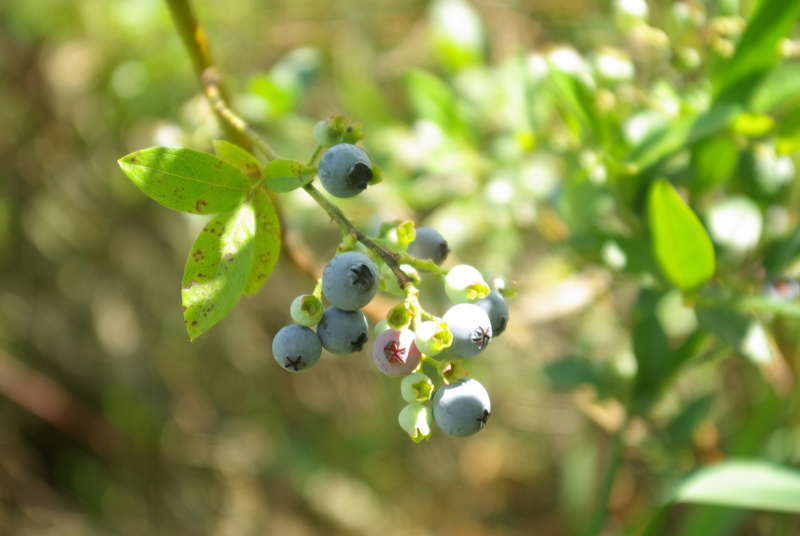 The west side of the state is known for its blueberry farms and just like Maine is known for its wild lowbush blueberries(Vaccinium angustifolium), so is northern Michigan for its wild highbush blueberries(Vaccinium corymbosum). 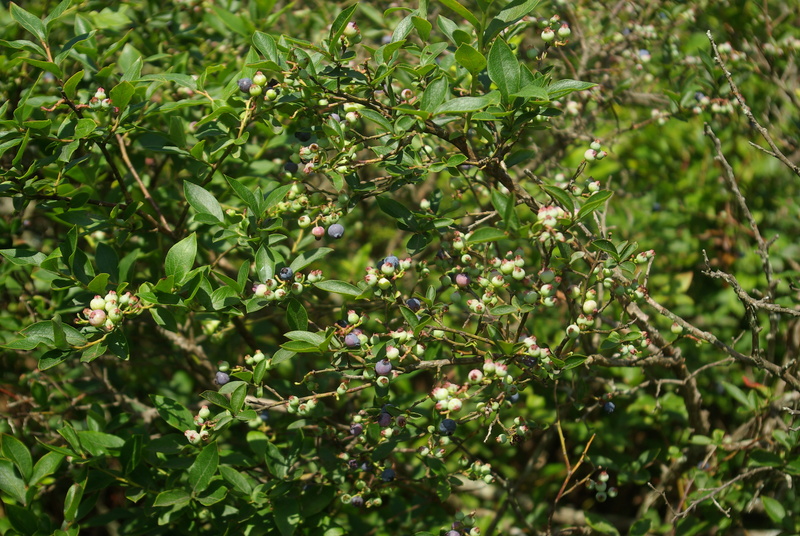 Blueberries are unique and varied in their tolerances and habitat preference… with lowbush blueberries in the northeast flourishing on rocky outcrops and highbush blueberries in the midwest growing in boggy wetlands, all the while cultivated blueberries find their happiest home in well drained sandy loams. 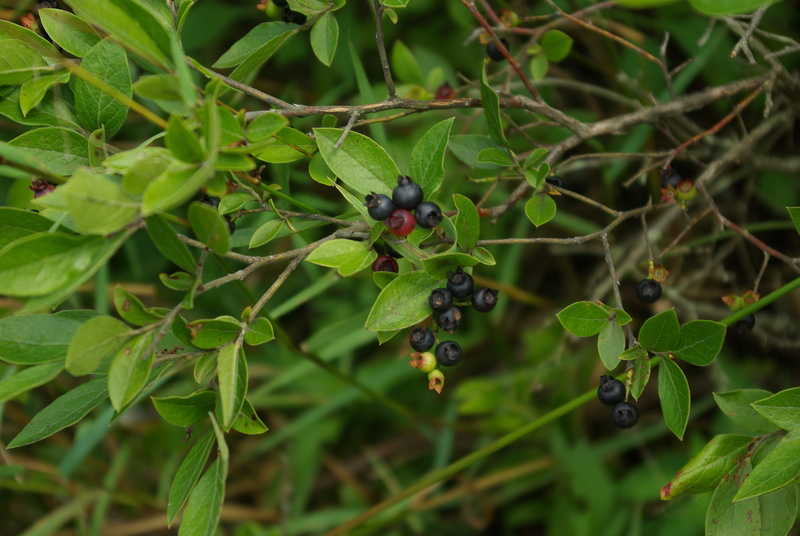 But when speaking of wild highbush blueberries growing in Michigan, we almost always refer to them growing in wetland ecosystems. They like the high organic matter and steady moisture supply. Another factor, too, is the soil acidity found in these environments. 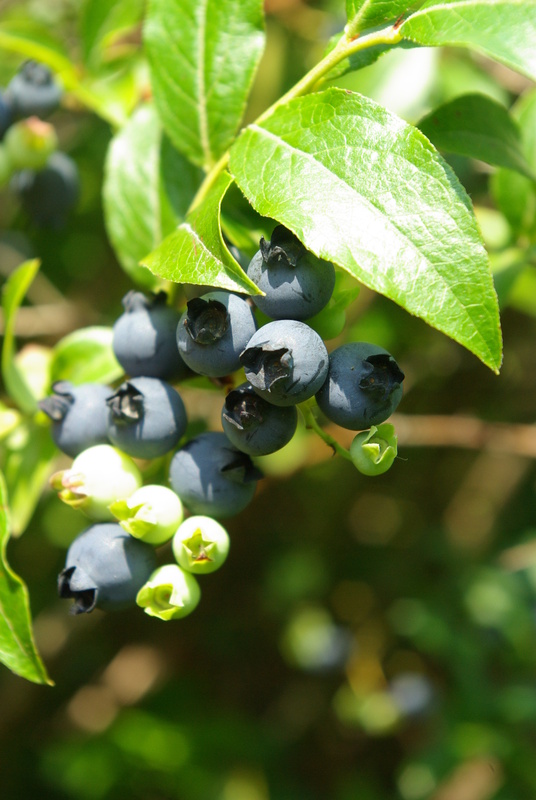 Any gardener or farmer who has grown blueberries knows they prefer a low PH. This is their neediest of needs and the one condition they won’t perform well without. This season has been magical when it comes to blueberries. One of my clients who lives just minutes away has a beautiful wooded site with several acres. On the back part of the property a maple forest transitions to a boggy wetland and Chris(the homeowner) took me on a walk back there last year and pointed out a nice patch of blueberries that her and her kids had been harvesting from for the past few years. She invited me back to come picking and this year I took her up on it. My business partner and I made our way back there for the first time a few weeks ago and we spent a couple days picking. It was wonderful. A 2″x12″ plank meanders far enough above the ground as to keep one’s feet dry(in a wet year at least)while walking through the bog. We were grateful that she allowed us to pick from her spot. Many days ago when out picking we decided to explore the area more thoroughly. 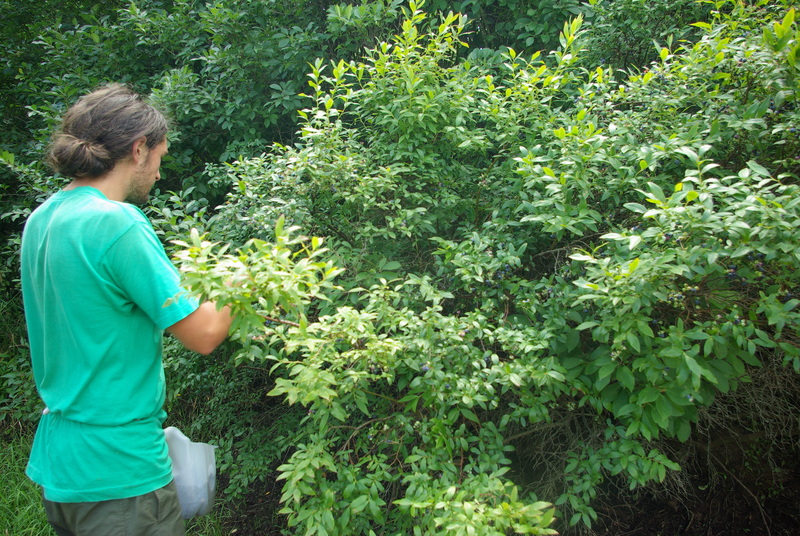 Through our exploration we came upon a much larger stand of wild blueberries. 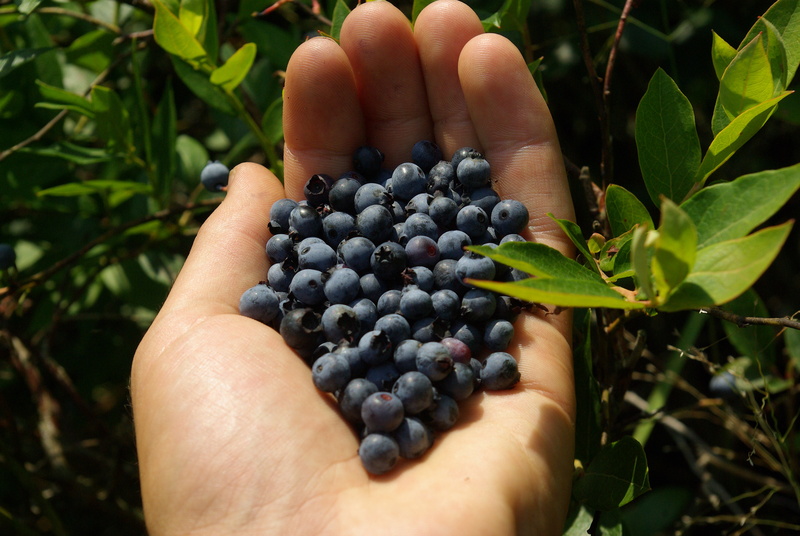 When I say large I literally mean 4-5 acres of almost entirely highbush blueberries! The expansiveness leads me to believe that the ecosystem is relatively stable and could’ve likely been this way for 50-100+ years. This is something you’d only dream of. For the first day or so I could hardly fathom the reality. 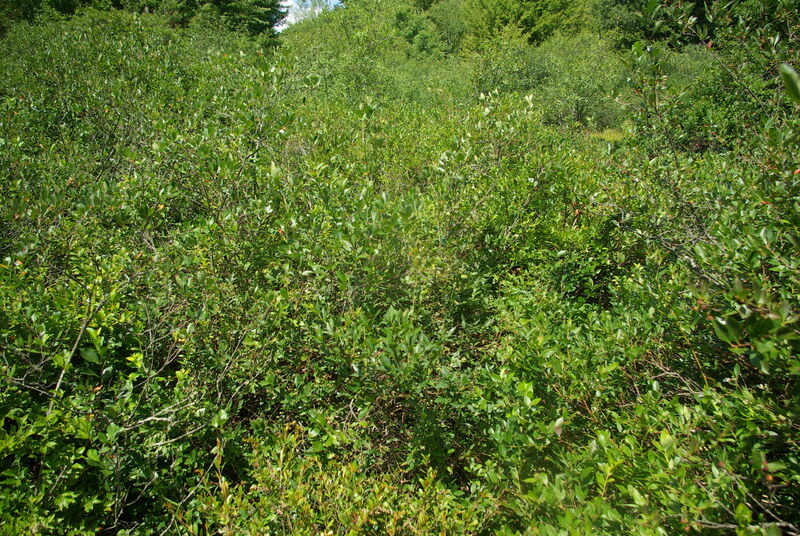 Hundreds of mature, fruit laden bushes— waiting to be picked by some hungry birds, bears, or…humans! The blueberry gods blessed us indeed. The thing that fascinates me most about these types of systems is the incredible amount of diversity. Since its an entirely feral ecosystem, all of the bushes grew from seed. This means each plant is genetically different from one another and represents a totally unique set of genes. Plant size, fruit size & color, flavor, disease resistance, and ripening time all vary drastically. On the contrary, in an agricultural setting clonally-propagated cultivars grow independently. 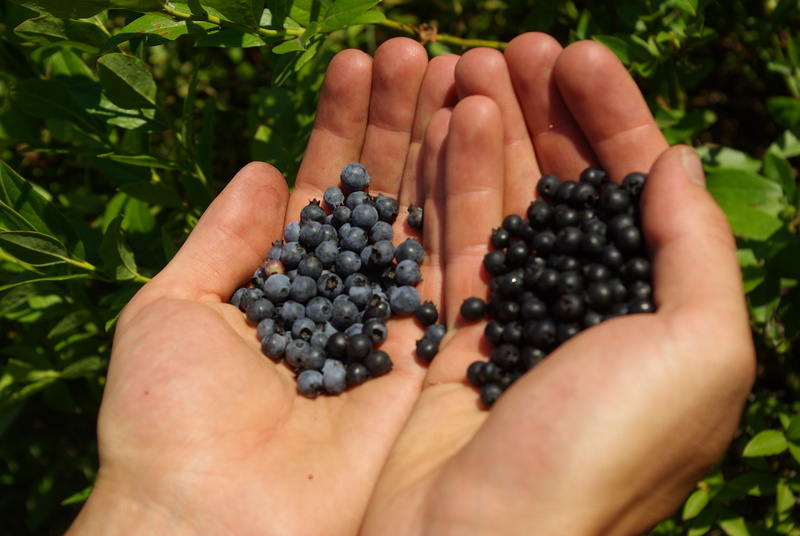 We must remember, though, diversity is the spice of life, and every single cultivated blueberry variety ever developed was either selected or bred from these wild ancestors. 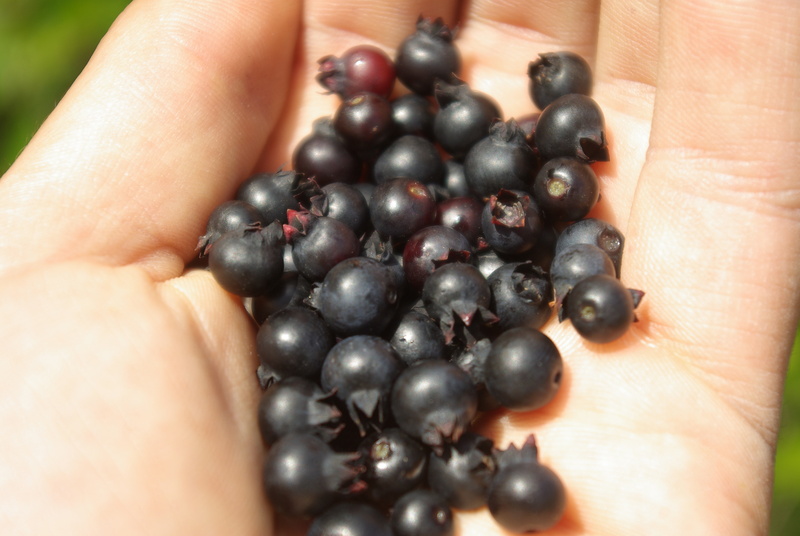 If you’ve ever harvested wild blueberries then you probably know that the berries are smaller then the cultivated ones. My friend pointed out the other day how she’s thankful for modern agriculture because of the improvements made in berry size and productivity. I agree with her, but at the same time I treasure what these wild ones have perseveringly brought to this world. Plus, picking their fruit is a good practice in patience and allows one to become more in-tuned with nature. I love wild blueberries. You may be wondering why this post got the title it did. Well, if you’ve read my previous posts then you realize that its been an odd year in regards to weather patterns. Early flowering, late frosts, and extended drought have caused some of my favorite fruits like cherries, mulberries, serviceberries, and black raspberries, to have very poor seasons. So, even in the roughest of years, the blueberries prevail (amongst others like currants and blackberries)! This attests to their adaptability and reliability. I recall Lee Reich mentioning in one of his books that blueberries, out of all the fruit crops, were one of his all-time favorites for this very reason. Currently I don’t have any blueberries planted in my garden, however they’re an up and coming addition! 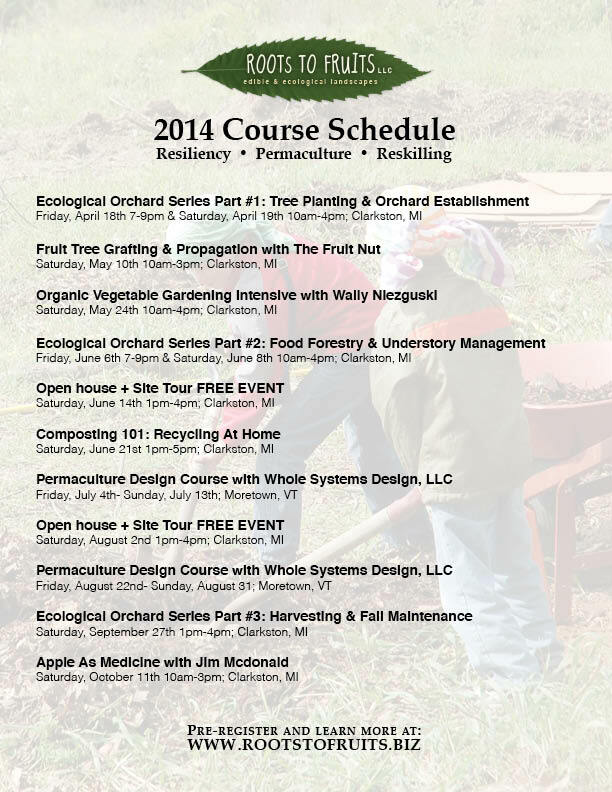 This spring I purchased six cultivars from Hartmann’s Plant Company in preparation for fall planting. 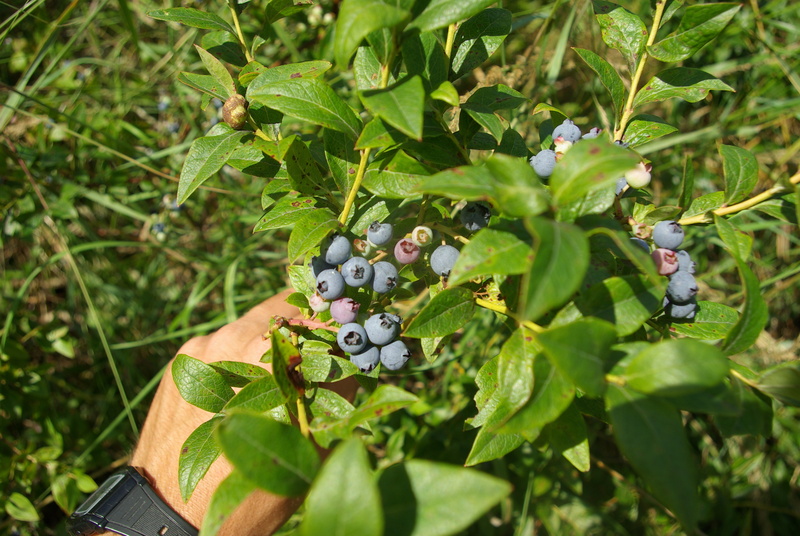 Its smart to prepare your blueberry bed a few months in advance; this allows time for any appropriate PH adjustments to take place, unless of course you already have acidic soil. 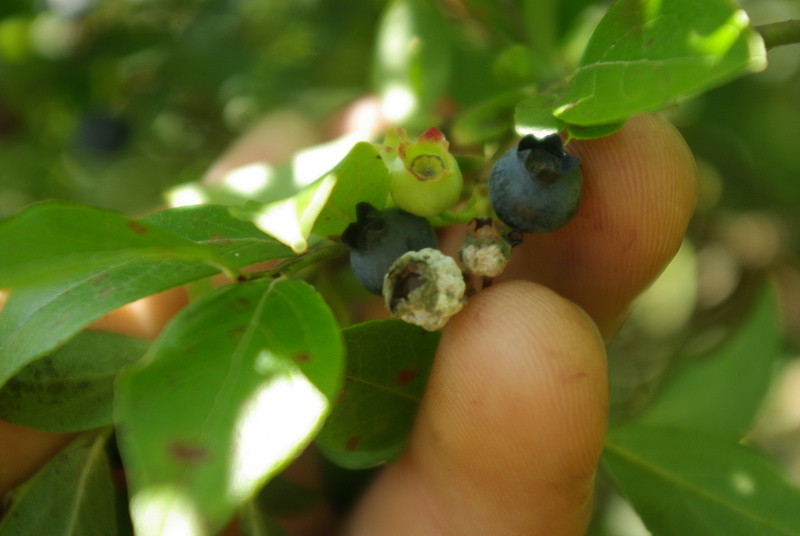 Monilinia vaccinii-corymbosi mummifies immature berries and is one of the few fungal disease which blueberries are susceptible to. My buddy Mark picking from a wall of blueberries!!! I fancy fresh blueberries. Eating them out of hand is perhaps one of my greatest pleasures. 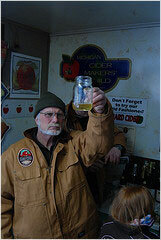 The light semi-acid, yet complex, fruity flavor is something to write home about. After I eat blueberries I always feel energized and fully satisfied. This must have something to do with their high antioxidant properties. They’re also very cooling on a hot summer day. I’ve been eating fresh handfuls daily for the past 2+ weeks but I’ve also processed ’em into ice cream and more recently into blueberry-lavender jam(stay posted for recipes)! 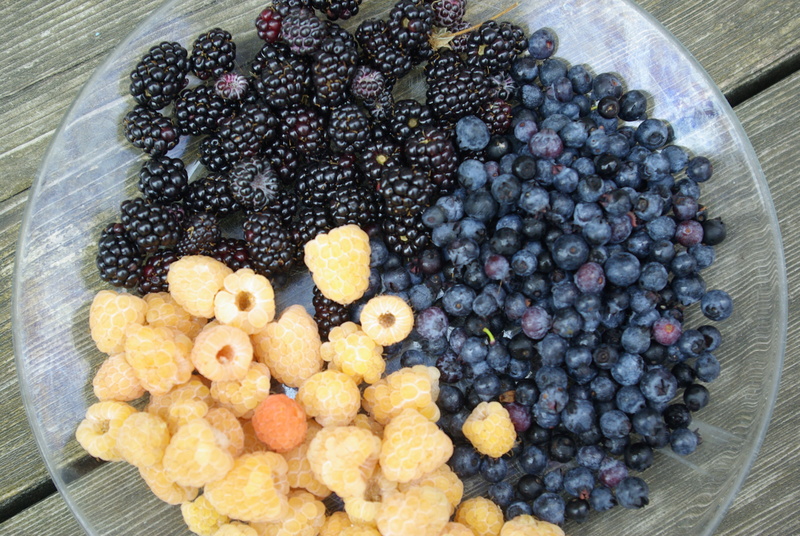 Golden raspberries, wild blackberries, and wild blueberries…BERRY NICE!